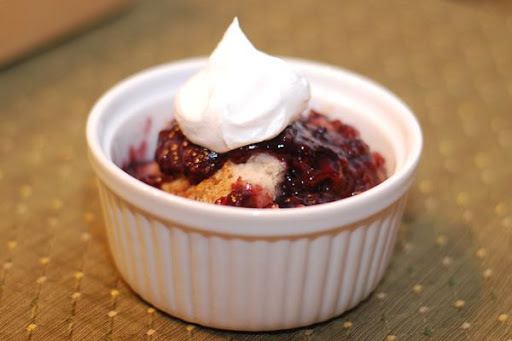 But, I especially love this recipe for Blackberry Cobbler. 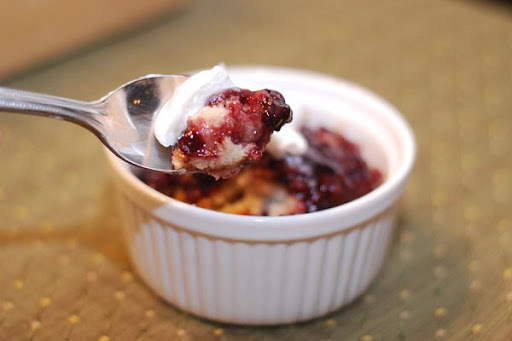 Actually, this recipe can be any type of cobbler that you like. You pick the fruit filling that you like best. 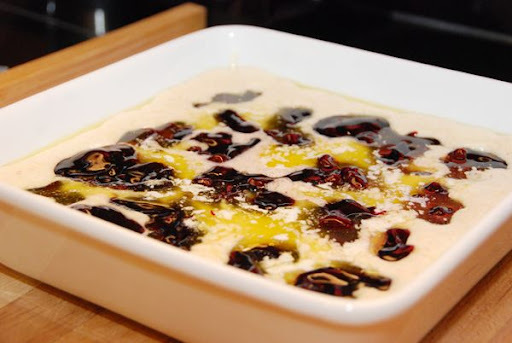 I have been making variations of this recipe for as long as I've been cooking. In fact, I tried to track down where I got it, but wasn't successful. The original recipe is scribbled on an old recipe card, but I've adapted and changed it throughout the years, and it's now one of my favorite desserts. I always keep a can of pie filling in my pantry. I can then whip up this cobbler any time I need a quick dessert. 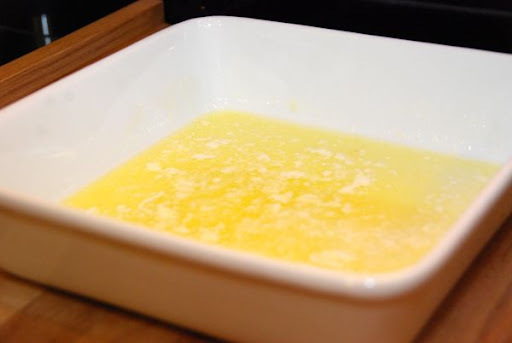 First, place 6 tablespoons of butter in the bottom of a 9x13 baking dish. (I used a 12x12, but it's essentially the same.) Place it in the oven and set the oven to 350 degrees. *The butter will melt in the bottom of the pan while the oven is preheating and you're mixing up the batter. 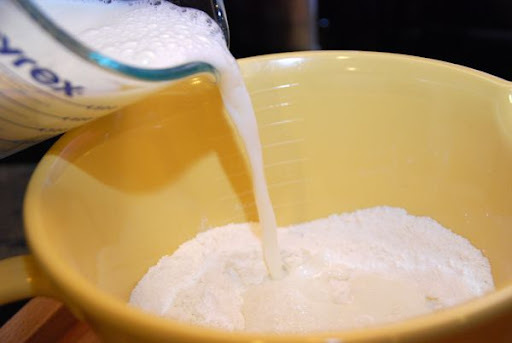 Next, mix flour, sugar, baking powder, and salt in a mixing bowl. 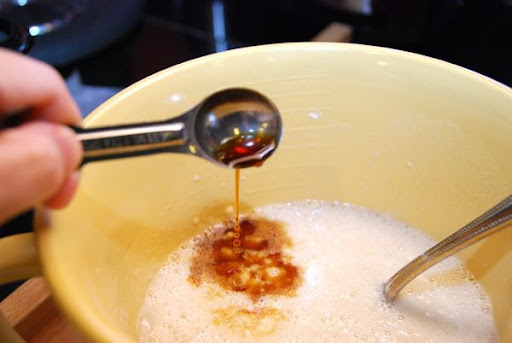 Add one cup milk and stir to mix. 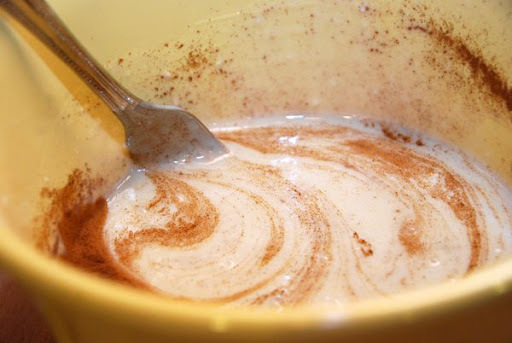 And, one quarter teaspoon of cinnamon. Then, you need one can of pie filling. This is where you get to choose what type of cobbler you want to make: cherry, peach, raspberry, apple, blueberry. It's totally up to you. 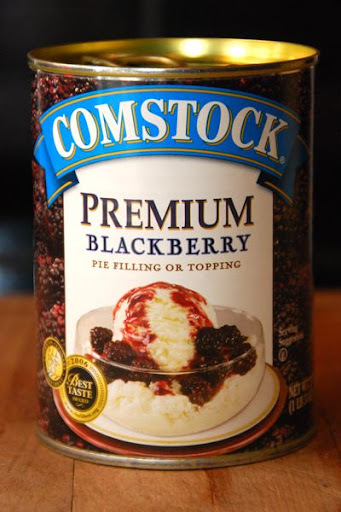 My favorite: Blackberry. 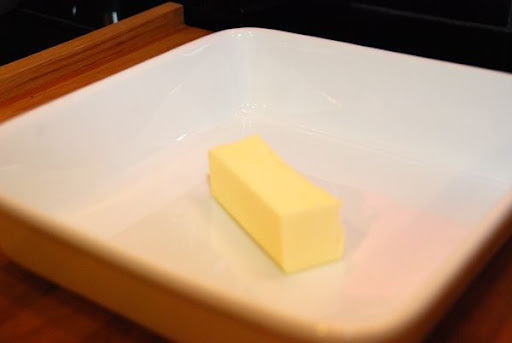 The butter should be melted in the bottom of the pan and the oven should be preheated. Remove the pan from the oven. Pour the cinnamony batter over the butter. It will look like this. It's supposed to look like this. YES, I know it looks like the batter is swimming in butter, but what's really happened is that the batter has sunk to the bottom and the butter has risen to the top. Don't worry about it! It will turn out just as it should when it bakes. 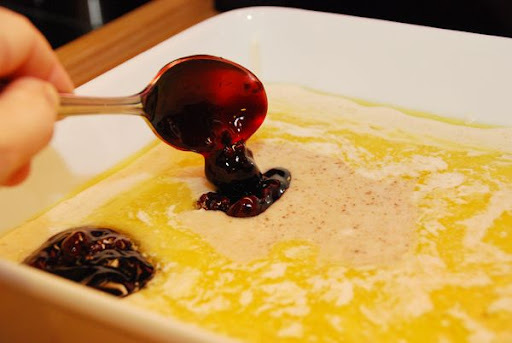 Spoon that glossy, yummy pie filling over the batter. Just randomly. All over the batter. It will look like this and it's ready to go into the oven, uncovered, for 30 minutes. When it comes out, it looks like this. See? That butter has been cooked right into the cobbler. I love this beautiful, golden color. And, then you serve it. Right out of the oven. It's this perfect mix of fruit and sweet, spongy cake. And, then you do this. Or you put a big scoop of vanilla ice cream on it. 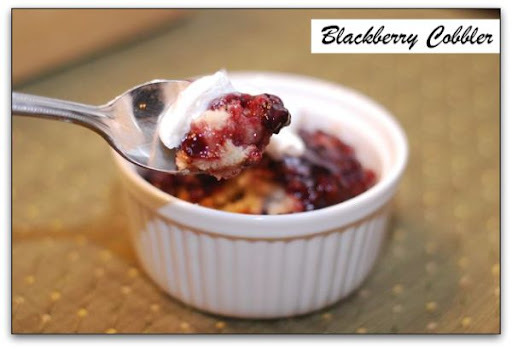 And, you've just made Blackberry Cobbler. And, until you've run out of types of pie filling, you can make this as many ways as you'd like. 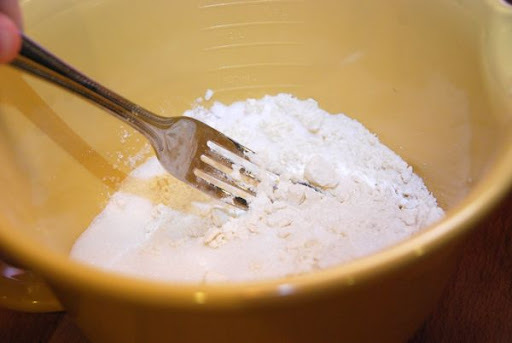 Combine flour, sugar, baking powder, and salt. Pour in milk and mix together with a fork. Add vanilla and cinnamon and stir. Remove pan with melted butter from oven. 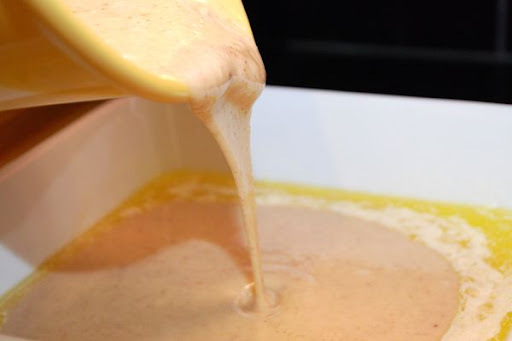 Pour batter over butter. Spoon pie filling over batter. Bake for 30 minutes, uncovered, at 350 degrees. Serve immediately. Top with whipped cream or ice cream. *You can also use fresh or canned fruit instead of pie filling. 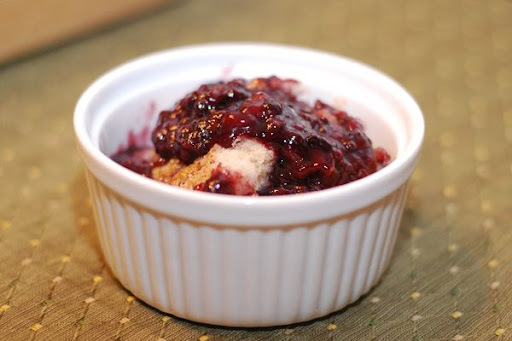 *You can make this cobbler in individual ramekins as well. 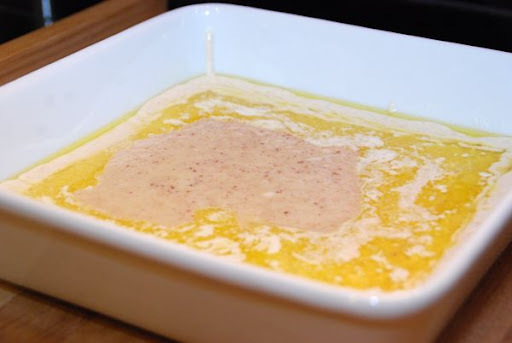 Melt the butter into the individual dishes and pour the batter evenly into the ramekins. Top with filling and bake until the cake is cooked through - about 20 minutes. another one I'll have to try. I just finished breakfast and now I'm drooling over your cobler. that looks wonderful! I make a raspberry and dark chocolate cake that uses the butter like that -- and it's divine. I can't wait to try the cobbler version. I've used this method to make cobblers and it's GREAT! I also use fresh fruit in the summer - just add some sugar. Frozen fruit can work, too. Yummy! Wow! 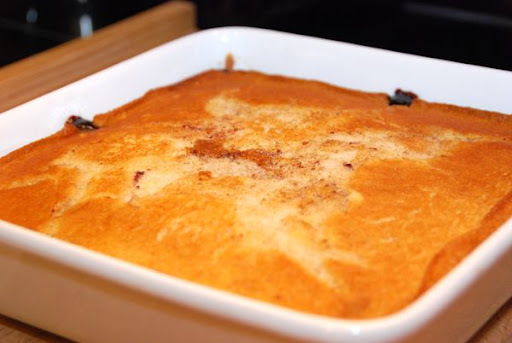 I've never seen cobbler made like that, and looking at the finished product, I would never guess that you put the filling on top of the batter and let it all swim in the butter. :D Looks delicious, Sarah! So glad you posted this recipe-it sounded delicious when you had it as part of your Facebook status. I think I might make it tonight! Thanks, Sarah. Thank you. I will make it for the next time my Bible study meets at my house. I do not like to bake or cook and you are going to ruin that reputation. This looks so good! I love the look of it served in the little ramekin! do you think marmelade would work just as well? We don't have canned pie filling in Brazil. Dying to try it out with my cooking class students. I think it would depend on how sweet the marmalade is. If it's slightly bitter, as some marmalades are, then I think it would work great. If it's really sweet, it might make the cobbler too sweet. You could use fresh fruit or frozen fruit, if you can get that, and it will turn out beautifully. Maybe try it out at home first and see if it works? Let me know how it turns out! 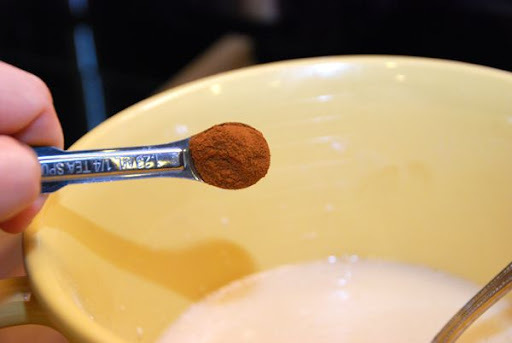 Can I change the cinnamon in the recipe to something else? Yum! Wow I can't wait to try this one. I just made your Pasta Sauce the other night...huge hit! I am so glad my friend Janelle turned me onto your blog, love it! I was online searching for a cobbler that I could make with canned fruit (pie filling) and came across your blog. Loved it!! I just made this tonight and it was delicious. I have been searching for a cobbler reciepe for so long, and this was perfect. I did have one question, do you use unsalted butter, or salted? There were parts of my dessert that tasted too salty. I was wondering if it was because I used salted butter. Besides that, it was perfectly wonderful. And I must add, that I love the way you lay your pictures out so that we can follow your directions and see the product as yours would be made. I'm a fan now! Love this cobbler recipe very quick and easy to do. only thing I changed was the kind of flour I used, I used self-rising that keep me from adding to much salt.